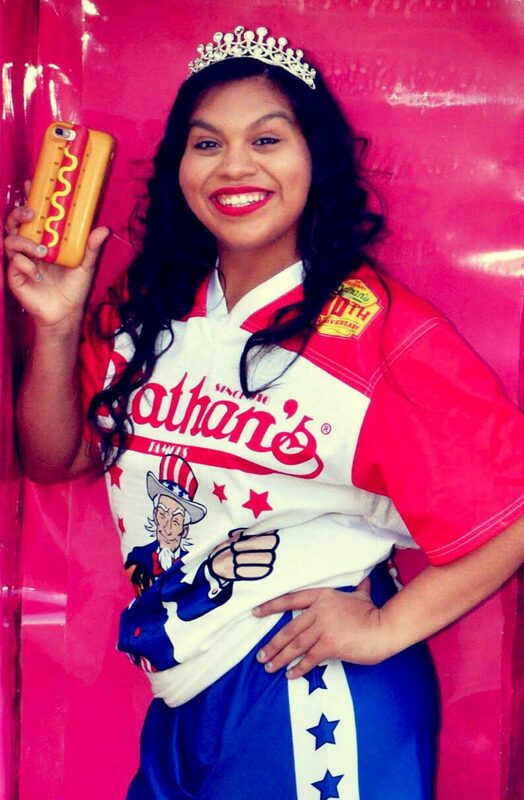 Donna native Kassandra “Kassie” Zapata will be competing in Nathan’s Famous International Hot Dog Eating Contest for the third year in a row Wednesday, July 4 at Coney Island in New York. Ranked No. 43 in the world by Major League Eating, the 22-year-old ate 10 hot dogs this year to win the regional qualifying competition in San Antonio. Her hot dog count was 11 in 2016 at the regional level, enough to qualify for the national competition where she ate 13.5 hot dogs. In 2017, she reached 13 hot dogs during the annual Fourth of July event. Zapata, a kinesiology junior at UTRGV and teacher’s assistant at Donna ISD’s M.A.P. Muñoz Elementary School, will compete against 18 other women for the international contest. Among her competitors is Miki Sudo, the four-time champion from New York who ate 41 hot dogs last year to win the women’s title. To see Zapata compete, watch ESPN, ESPN3, or the ESPN app at 9:50 a.m. CST. The men’s hot dog eating competition will take place at 11 a.m. CST. Nathan’s International Hot Dog Eating Contest began in 1972, when the first champion Jason Schechter ate 14 hot dogs. Since then, the record for most hot dogs eaten at the international competition was 72, set by 10-time champion Joey Chestnut in 2017. However, Chestnut’s personal record is 73.5, which he set during the qualifiers a week before the 2016 competition. The record for the women’s hot dog competition is 45, set by three-time champion Sonya Thomas in 2012.